FIANNA Fáil TD for Donegal Charlie McConalogue has welcomed confirmation that six additional ambulance personnel will be allocated to Inishowen this year under the National Ambulance service plan for 2019. Extra resources will allow for an additional day crew to operate and cover the Inishowen peninsula. Deputy McConalogue commented, “This will provide essential cover to the peninsula and will hopefully address the unacceptable and all too common response time delays in relation to ambulance callouts. 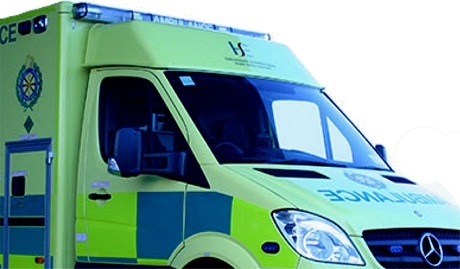 “The National Ambulance Service (NAS) have confirmed that they expect the additional staff to be in place by the end of June and that there will be a new deployment point in Buncrana as part of this plan. This new deployment point will improve response times in the western side of Inishowen while also backing up the service in Carndonagh when cover is required”. Six new ambulance personnel will be allocated to Inishowen and this will allow for an additional day crew to cover the peninsula. Cllr. Martin McDermott also welcomed the news stating that the additional crew will be essential in addressing response times, “North Inishowen is simply too far away from Letterkenny to be left with just one day crew and this has led to unacceptable response times on too many occasions”. Cllr. Rena Donaghey commented “These additional personnel will go a long way in improving response times across our peninsula. The new deployment centre in Buncrana will improve response times in the town as well as backing up the crew in Carndonagh and finally the people of Inishowen will get the ambulance service they deserve”.